Though you could be mistaken for thinking that this book was about a space-suited George Michael at the height of his fame thanks to the cover, inside is a work of intricate genius centred around one man's mission to stay alive in the most inhospitable climate imaginable - the harsh surface of the red planet, Mars. 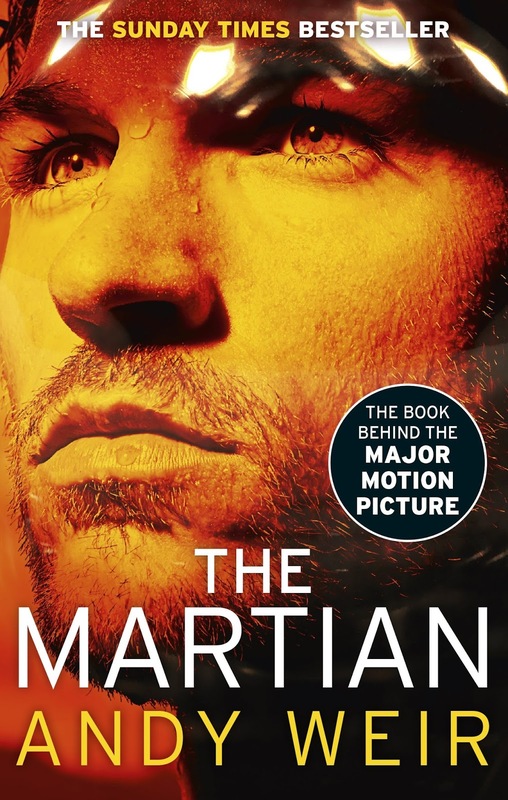 Astronaut Mark Watney is the victim of a horrific accident during a manned mission to Mars. Left for dead by his crew, Watney actually survives ending up with a flagpole through his chest (!) and thus begins his fight for survival. With meagre resources but a ton of ingenuity and inventiveness, Watney becomes Mars' first farmer and realises that even on a desolate barren and unpopulated planet, Mankind's previous visits may well save him yet. Told mostly from Mark's perspective, "The Martian" is obviously well researched, is hugely tense and exciting and eschews the random pratfall Mr-Magoo-esque exploits of the movie "Gravity" for a thorough and fascinating investigation into what it would be like to be in Mark's place. Would you have the will to carry on when it feels like the whole planet wants to kill you in a variety of new and interesting ways? Dark humour laces the story as Mark struggles to stay mentally healthy as well as physically. Andy Weird has a talent for perfectly describing the sheer danger involved in space travel and exploration and the myriad of things that could go horribly wrong. "The Martian" by Andy Weir is out now in paperback from Del Rey Publishing.